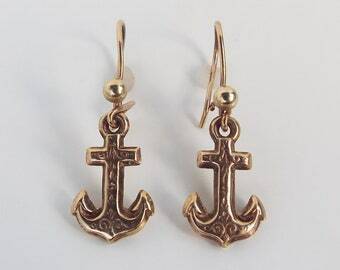 Announcement Welcome to Kate Gold - reloved antique and vintage jewellery. We've rebranded from Heart of Solid Gold to Kate Gold - new name, new brand, same lovingly curated collection of antique and vintage jewellery. All the items available have been hand sourced by Kate, a long-time lover and collector of antique and vintage jewellery. Looking for something in particular or have any questions? Please don't hesitate to get in touch. 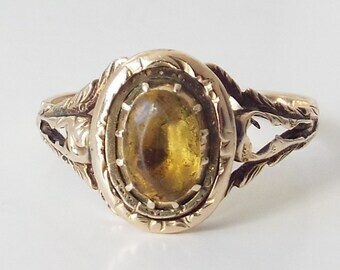 For more info visit our website www.kategoldjewellery.com. You can also find us on Instagram: @KateGoldJewellery, Twitter: @KateGoldJewels and Facebook: Kate Gold Jewellery. 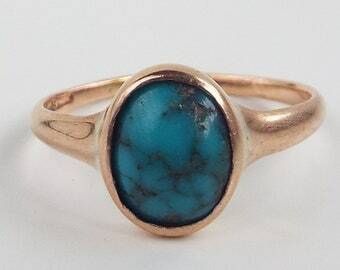 Welcome to Kate Gold - reloved antique and vintage jewellery. We've rebranded from Heart of Solid Gold to Kate Gold - new name, new brand, same lovingly curated collection of antique and vintage jewellery. Item as described, well packaged and shipped in a timely manner. Very happy with my ring, thanks! With the rise of gold prices, many people are handing over their most prized gold jewellery to be melted for scrap. So many one-of-a-kind, antique jewels are being lost for ever. 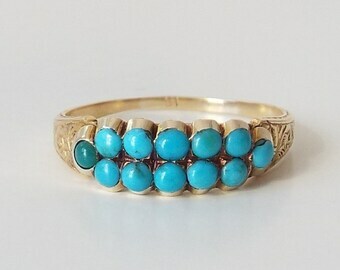 Having collected antique and vintage jewellery for several years now, I decided to open an online store to share the amazing and beautiful pieces I find every single day, and to try and save the treasures of our past, one special piece at a time. 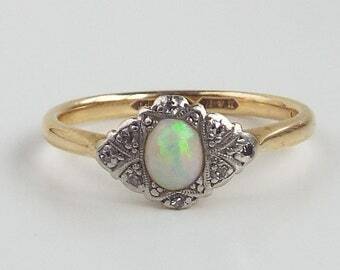 I'm a collector of antique and vintage jewellery and I'm obsessed with rings. 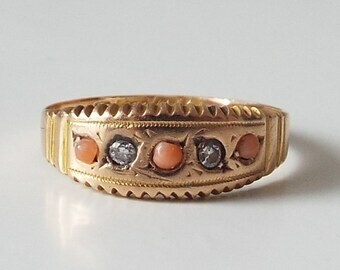 My love for antique jewellery has led to opening the Kate Gold shop, to share with others the beauty and craftmanship of antique and vintage jewellery. Overseeing all of the Kate Gold goings on, Cleo dips her paws into a little bit of everything - from Post Office runs to accompanying Kate on buying trips. Follow her antics on Instagram using #shopdogcleo. 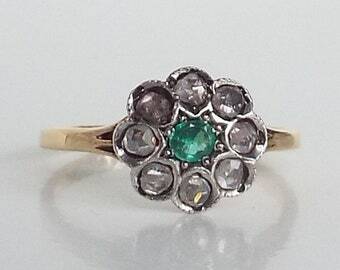 Welcome to Kate Gold - reloved antique and vintage jewellery. Available are pieces of jewellery sourced from antique dealers and fairs from across the globe. We've rebranded from Heart of Solid Gold to Kate Gold - new name, new brand, same lovingly curated collection of antique and vintage jewellery. If you are not happy with your purchase, please get in touch so we can discuss a return. Please note - this needs to be done within 14 days of receiving your parcel (this is when the parcel has been signed for on delivery). I can only offer a refund on the price of the item and can not refund the postage costs, pay return postage or cover any possible customs charges the item is shipped back into the UK. The item must be returned from the country that we have posted the item to. Items purchased by a layaway plan are non-returnable. 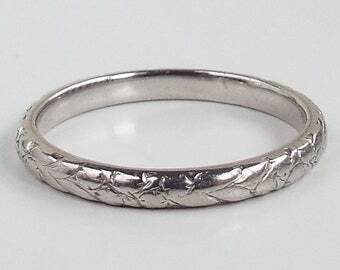 Items also resized, modified or customised in any way by our jeweller or by you/your jeweller are not returnable. Layaway deposits are also non-refundable. Kate Gold currently accepts all major credit cards, Paypal and Etsy gift cards. All items are delivered via tracked postage and are insured. Please note - International parcels can only be insured for up to £250. Once payment is received your item will be shipped within 3-5 working days to your confirmed Paypal address. Please note, I can't always post the very next day as we're based in the rolling hills of Yorkshire and our rural position means we can't always make it to the Post Office every day. If you do need an item shipping quickly, please let use know in the comments section when placing your order and we'll do all we can to get it to you as quickly as possible. All items will be shipped in secure packaging and jewellery will be sent in a presentation pouch or box. All customs and import charges are the responsibility of the buyer and we can not declare any of our items as gifts. We recommend you check your country's import laws regarding jewellery, precious metals and gemstones as these vary from country to country. PLEASE NOTE - at the moment due to Australia's customs laws we can not ship any of our jewellery items to Australia. If in the event that a package is lost in transit I will provide all shipping details to help trace the parcel but I can not take responsibility for the item once it has been posted. If an item has been signed for as received via Royal Mail's tracking system - and has been signed for if applicable - we can't be held responsible for the whereabouts of your purchase if you have not received it and we can not issue a refund if this happens. For items posted to the UK - if your item doesn't arrive within 7 working days from the postage date please let us know and we will file a claim on your behalf. All claims can only be submitted 25 days after the item was posted. For items posted outside of the UK - if your item doesn't arrive within 25 working days from the postage date please let us know and we will file a claim on your behalf. All claims can only be submitted 25 days after the item was posted. All items shipped outside the UK via Royal Mail can only be insured for a maximum of £250. Should a claim need to be made, please be aware that the total amount of compensation claimable if your item was over £250, is £250. 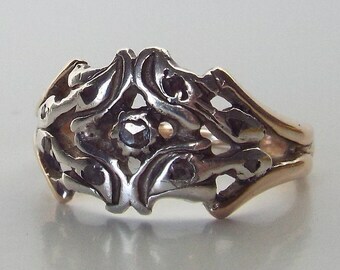 Please note that all our items are antique or vintage so will most likely show signs of age and wear. Please do not expect pristine items of jewellery - most of our items are at least 50 years old and are therefore not in new condition. Care must be taken when wearing any of our items - we commend removing our items when showering, exercising, applying creams and moisturisers etc, as tasks like these can damage the stones/settings. 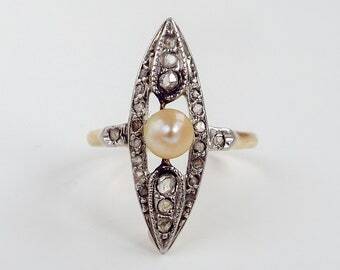 Our knowledge of jewellery is the result of years of collecting antique and vintage pieces. We are not jewellers of gemologists. Information about item ages comes from years of collecting antique jewellery and time spent studying hallmarks and period features. We can not always be 100% accurate.